Considering my great love for books, especially fabric, patchwork and quilting books, I really should write about them more often, especially the gems! Unconventional & Unexpected: American Quilts Below the Radar 1950-2000 is exactly that - a big, heavy book with glossy pages showcasing approximately 150 unique and unexpected quilts from 1950-2000 made predominantly by anonymous quilters. This is also my favorite addition to my quilt book library for 2014. A gem. Unknown Pattern c.1950-1975. Found in Georgia. Cotton. Double Wedding Ring (variation) c.1930-1950. Found in Texas. Cotton. 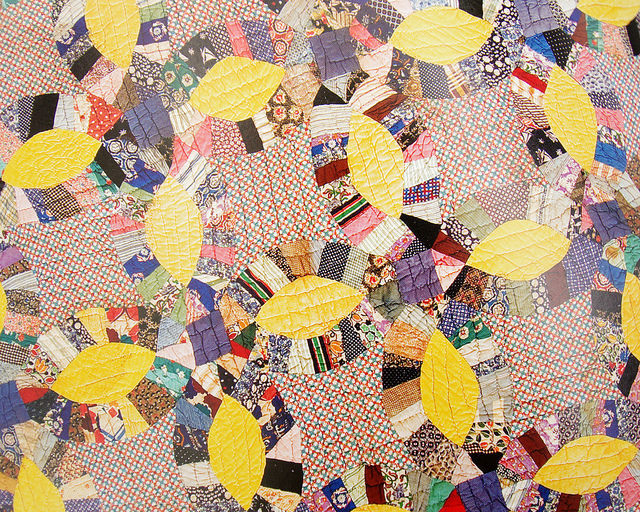 The quilts showcased in the book represent ten years of gathering, collecting and curating by Roderick Kiracofe, a renowned quilt authority and collector. 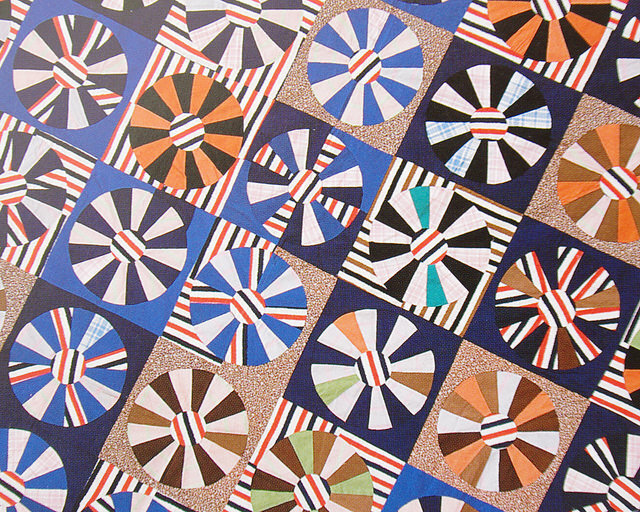 The quilts represent an era that has previously not been documented, and unlike the quilts that replicate traditional patterns of earlier centuries, these quilts represent the improvised style of the modern quilt movement, departing from and then again returning to the traditional. Fan. c1975-2000. Found in Wood County, Texas. Cotton, blends, Polyester. Hand quilted with green thread. String c.1940-1970. Attributed to Aunt Etta. Found in Texas. The quilts are not perfect and break all the rules. Instead a state of perfection is found in their quirkiness. These quilts were made for necessity, made to be used. 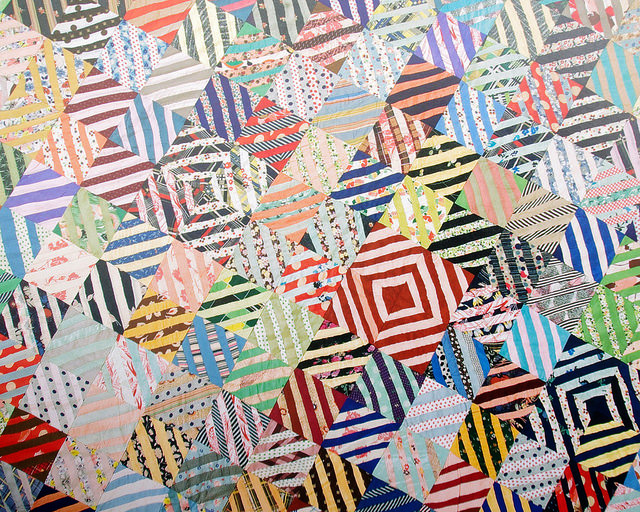 Many of the quilts are heavily pieced with a unique sense of color and the use of various types of cloth. Mosaic Rose c.1950-2000. Found in Arkansas. The book is more than a picture book and features essays by experts in quilt-making, quilt history, art history, collecting, color, and photography including Denyse Schmidt and Kaffe Fassett, with the quilts organized around the perspectives of each of the contributors. Cross/Four Patch c.1950-1975. Found in Pennsylvania. This is a book to read from cover to cover so as to discover the history and to celebrate the quilts of fearless yet anonymous quilters from an era gone by, which but for this book would have remained undocumented. I have spent much time turning the pages, gazing at the quilts and when the house is all quiet I delve into the details, taking in every word and return to the quilts with a new perspective. Wheel of Fortune c.1960-1980. Found in Missouri. With thanks to Roderick Kiracofe for permission to take photographs of the quilts in the book and to use those images here on my blog. 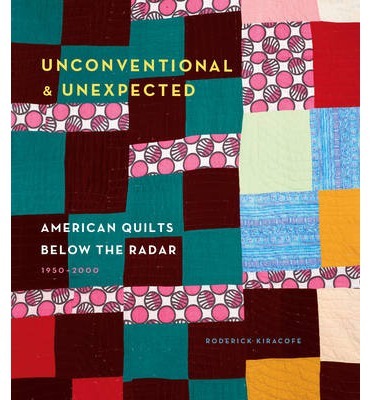 Unconventional & Unexpected: American Quilts Below the Radar 1950-2000 by Roderick Kiracofe is available from Amazon. I love my copy - so much to discover - every time I open the covers! Very cool! I can easily see more than one of these inspiring new entries on your to make list :) thanks for the write up! 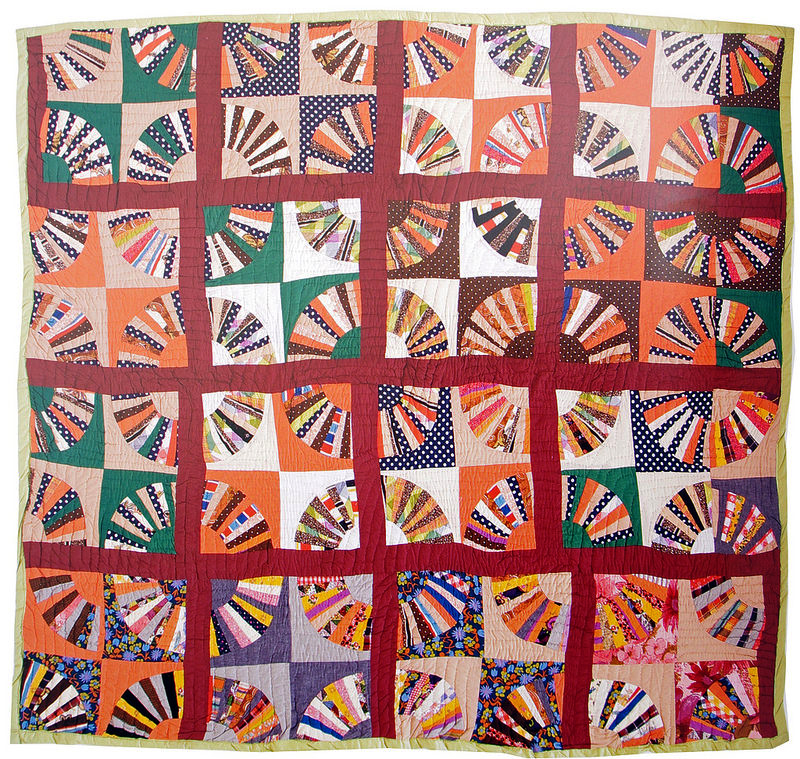 thanks to you for sharing the beautiful images of days gone by, and a big thanks to Roderick Kiracofe for his magnificent book and allowing you to post the photos of the amazing quilts. truly inspirational!! I will definitely add this to my book collection. Thanks for sharing. These quilts are so much more inspiring to me than ones made with perfection and designer fabric lines. I love this book, too! I'm trying to undo my need for precision. 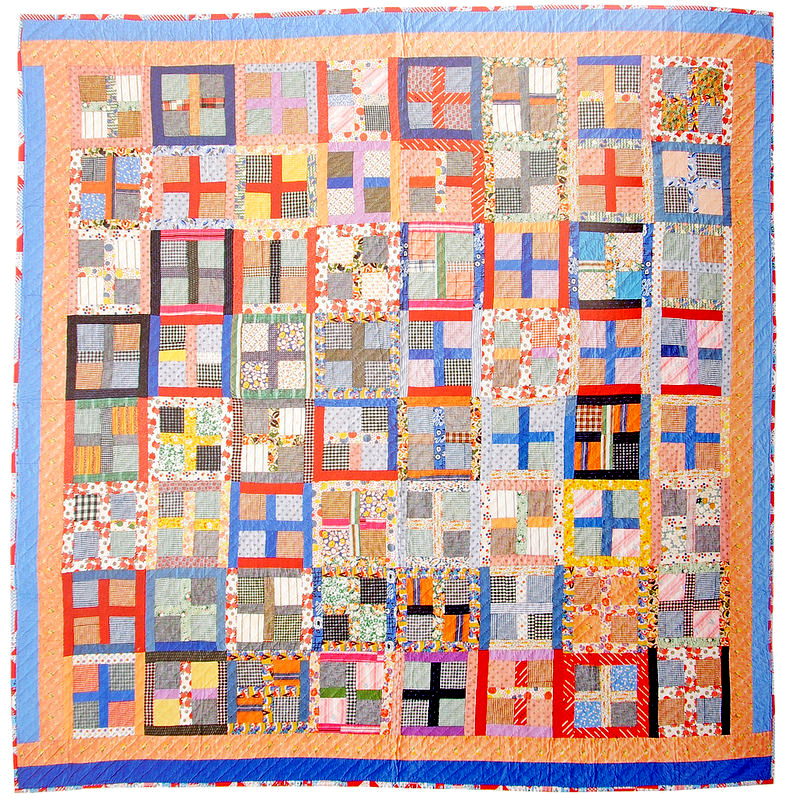 I want to use my scraps and enjoy a more improv process - it's hard but studying quilts like these helps a lot. 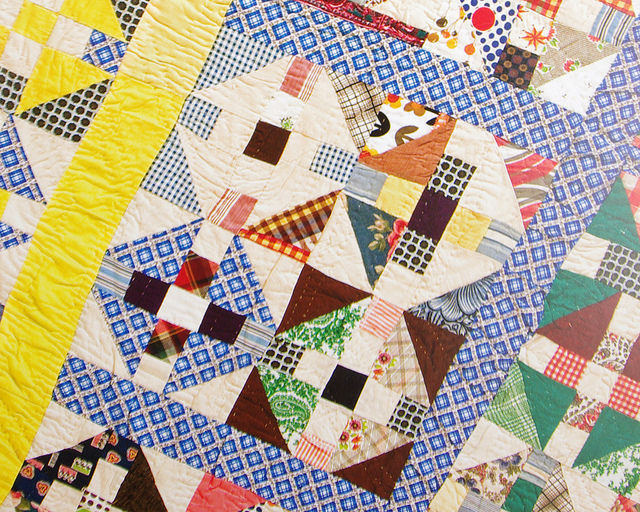 I love this book, if only because it captures quilts from the era when my grandmother was quilting and reflect her style of using what she had - meaning that she had to be loose and playful with her color placement. But also, I love this book because it showcases that quilting is not always about the perfect points, the perfect stitch, or the perfect square corners. It celebrates and showcases humanity - vibrant, resourceful, not perfect but hanging in there! Thanks so much for sharing! What an eye these quilters had for colour. I can certainly see why the quilts in this book would appeal to you. So much inspiration here, and I love that they are not all perfect. It gives hope to those of us whose blocks and points don't always match. Love this book! I can't stop looking at it! Roderick came to lecture at a nearby guild and brought some quilts, too! One of the highlights of my year so far! I'm definitely going to get a copy of this book. 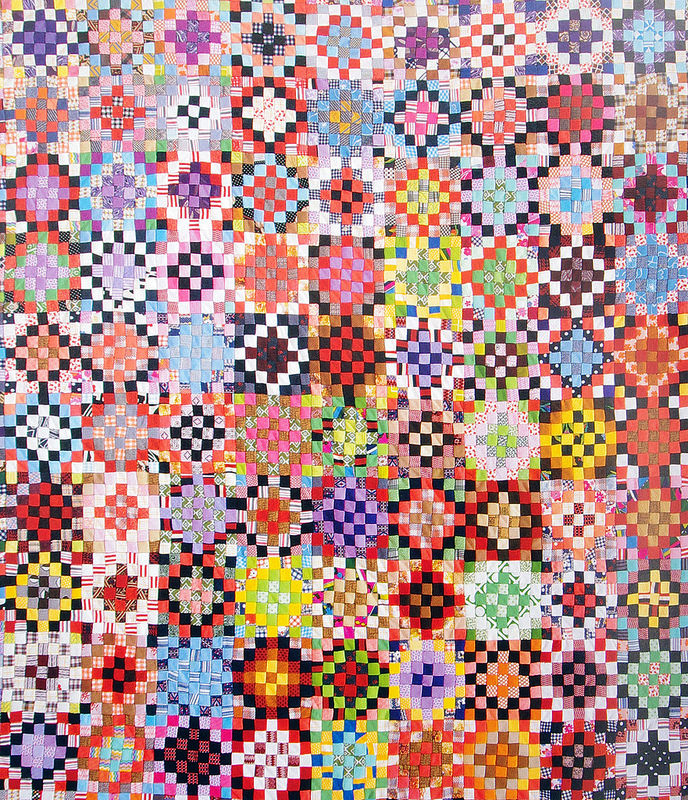 I can see the above quilts being wonderful inspiration for you--I expect we will be seeing your interpretation on several of them over the next year. I love this book too! The essays in it are icing on the cake. I heard his interview on quilt radio and enjoyed hearing him talk about his collection. I've been meaning to buy this - had it sitting in my Amazon cart for awhile. Time to check out, get beyond the photos I've seen on the Internet. Thanks for the reminder! Wow, these are wild, they are colorful and I would love to know the feelings behind these creations. Where these fabrics came from. Old fabrics? I am putting this book on my Amazon wish list pronto! Drool! A visual feast! I will buy this! I'm so glad to see a book featuring this era and these types of quilts. They are far too often overlooked and forgotten. And I also like what lalaluu wrote. I couldn't say it any better. I'm going to keep my eye open for this book. Thanks for sharing it.